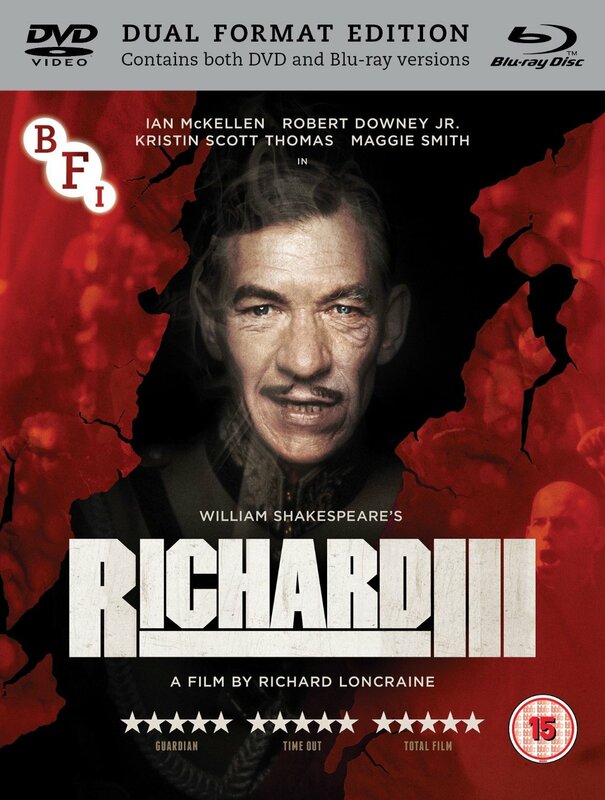 Shakespeare’s classic play about the machiavellian rise to power and subsequent short reign of King Richard IIl of England is set in an alternative 1930s, in this celebrated film adaptation. A brutal civil war has erupted in England with Houses of Lancaster and York battling for control of the throne. Amid the turmoil the despotic Richard, Duke of Gloucester (Ian McKellen) plots his own route to power, deviously scheming a murderous agenda that will lead to his installation as dictator monarch. Steeped in fascist iconography, the film openly draws from the aesthetic of the Third Reich, a stylistic choice that emphasizes the pure evil at the heart of Richard’s agenda. Based on an acclaimed stage production for the National Theatre (which also starred McKellen), the film features an all-star cast which includes Sir Ian McKellen, Kristin Scott Thomas, Robert Downey Jr and Dame Maggie Smith.